Euro League Round 4 begins on November 4th with most teams playing on this day. The only undefeated team UMMC will take on Castors Braine in Russia. After a triumphant and historic win at home against newcomers Girona in the last round CAS will be up against a different beast in round 4. Will Ann Wauters be able to lead her Belgium squad to another memorable win against a loaded and determined Russian team? UMMC coasted to an easy victory against winless Wilsa last round. Unless something incredible happens I don’t expect them to lose this game at home. one of the most anticipated match ups of the round as they both have records of 2-1. Last round KUR squeezed by a very tough SCH team at home. They welcomed back Augustus and Ogwumike continued to dominate. KUR will need her best effort against GAK as they bring with them Euro Leagues’s leading rebounder (13.3) Crystal Langhorne. GAK beat a very talented GAL in the last round so they will be entering this round with a lot of confidence! Expect a barn burner on Wednesday. Wisla Can Pack will travel to USK Praha in search of their first win. USK showed to be tough last round as they almost came home with a win on the road against NAD. Vaughn has been a beast in the middle averaging 14 points and 11 rebounds in the competition thus far. 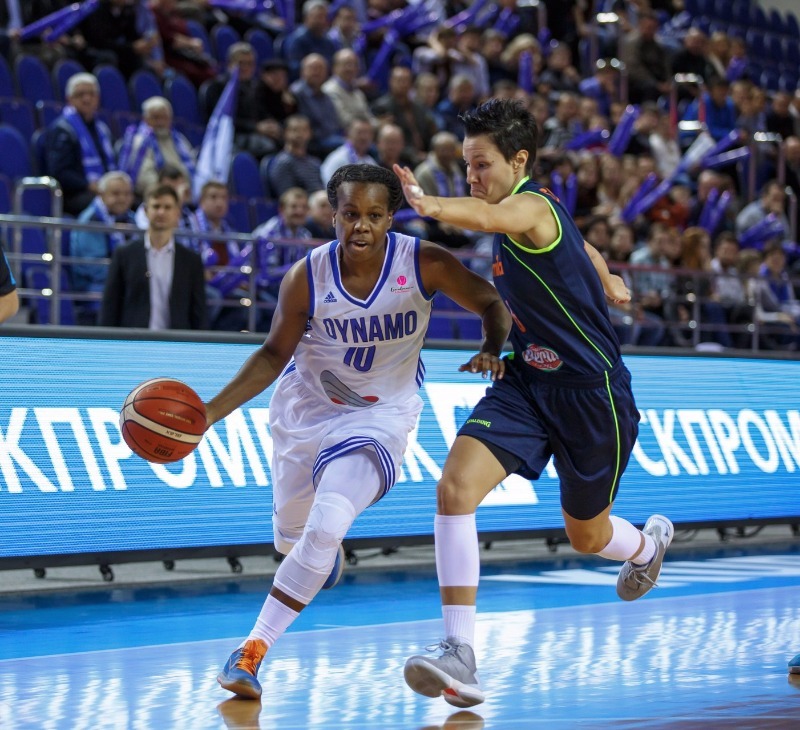 WIS will have to come with a better effort as they were demolished by the Russian powerhouse UMMC last round. If they head into Prague with the right midset and determination they could come out with their first win as USK has shown to be vulnerable at home when they lost to AGU in the first round. 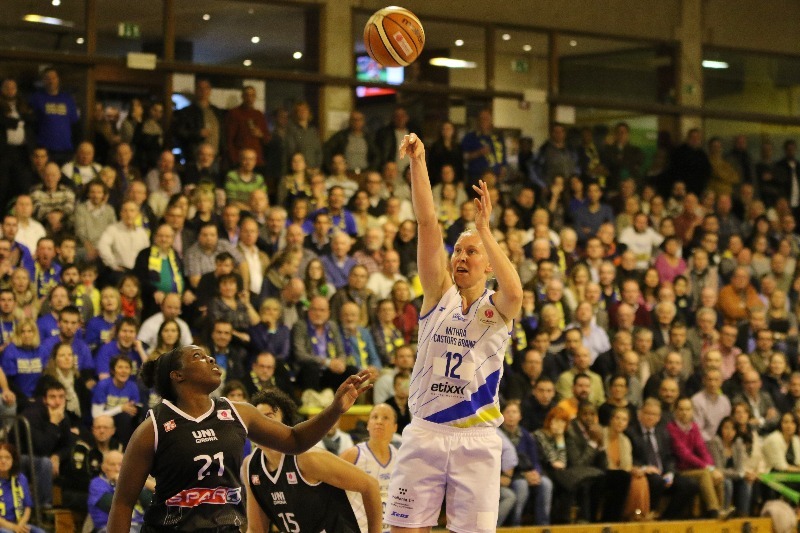 Uniqa Sopron will travel to Turkey to take on Fenerbahce. SOP hasn’t been very consistent thus far so depending on what team shows up will we have an idea about the outcome. If the team that beat AVE last round appears in Turkey then FEN will be in for a fight. Last week five players made it into double figure scoring and it will take this type of team effort to win on the road. On the other hand FEN showed fight last round as they came back from being down 16 to beat ESB on the road. FEN has a very deep bench and will use this to their advantage to wear down SOP at home. Galatasaray will take on Villeneuve d’Ascq at home on Wednesday. Both teams are coming off of losses with ESB losing a heart breaker at home to FEN after being up by 16 points. GAL faced a tough GAK team on the road and never saw themselves with the lead. This is a pivotal game for both clubs as they are in search of their second win of the competition. GAL will have to do a better job rebounding if they want to come away with a win and ESB will have to keep their composure on the road to give themselves a shot at victory. AGU Spor will take on Girona in Turkey this round. After losing in overtime last week look for AGU to enter the court with a vengeance. Girona looks to get back on track after a poor showing against CAS last round. With their experience AGU should come out with a win for round 4. 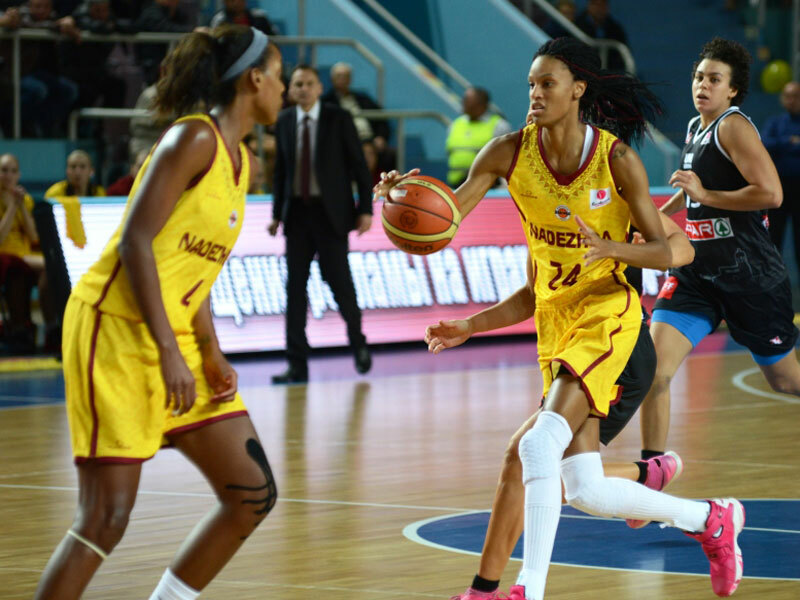 Bourges will have another chance to clock a win at home against Nadezhda. After beating AGU in overtime last round and finally getting in the win column look for BOU to come in with great confidence. NAD has been pretty consistent throughout the competition and has shown moments of greatness. BOU will have to slow down NAD’s combo of Bonner and McBride if they want to see their second victory this week. This should be a very interesting matchup. Finally the Spanish club Avenida will head to Italy to take on Schio. AVE will have to regroup after last rounds loss to SOP. SCH who lost a hard fought game on the road against KUR will look to get back in the win column. A tough team at home AVE will have to bring their best effort to come away with a win.